Congratulations to SHIBA Volunteer Elouise Maahs for receiving the Governor’s Volunteer Service Award in the health care category. Elouise, who volunteers for SHIBA with Lower Columbia Community Action Council in Cowlitz County, was honored on April 11 at the Governor’s mansion, where she receive her award from Gov. Jay Inslee. A SHIBA volunteer since 2008, Elouise serves as a data specialist, where she records and processes client cases. In the past year she’s processed over 6,000 client cases. Eloise was nominated for her dedication and commitment to ensuring that seniors and people disabilities have their Medicare issues, complaints and appeals processed in a timely manner. In addition to meeting the Governor on April 11, Eloise also stopped by the Office of the Insurance Commissioner/SHIBA and had the opportunity to receive congratulations personally from Insurance Commissioner Mike Kreidler. Read more about SHIBA, which provides free, unbiased, and confidential assistance with Medicare and health care choices. If I switch health plans halfway through the year, can my deductible be transferred or prorated? Insurance companies are not required to credit money consumers already paid in cost sharing from prior plans but sometimes they do for employer-sponsored replacement policies. If you lose employer-sponsored insurance in the middle of the year, and you've already met your deductible the year, you may want to consider COBRA for the rest of the calendar year and get an individual or family plan during open enrollment. If COBRA is not an option, you likely will be responsible for a new, full deductible. Generally, health insurance deductibles are not prorated for partial-year enrollees, no matter how few months are left in the plan year. Individual or family qualified health plans run from January through December. There is no way to recoup the additional money you may spend towards your health insurance deductible when you switch plans mid-year after paying the first plan’s deductible. However, sometimes medical and dental expenses like deductibles, co-pays and coinsurance can be deducted from your federal taxes, which will lower the taxes you pay that year. When you choose a health insurance plan, it will be important to understand what your insurance company covers without requiring you to pay your deductible. Then you can decide whether you want a plan with lower monthly premiums and higher deductible or one with a higher monthly premium and a lower deductible. Many health plans cover some services such as emergency room or routine doctor visits such as preventive care without requiring you to pay toward your deductible. 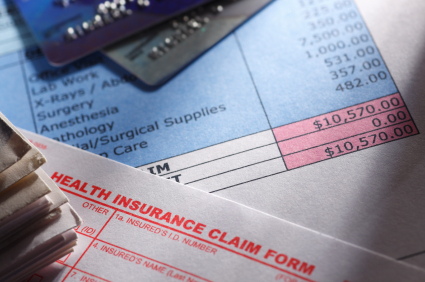 Deductible amounts vary by plan and can be separated into individual or family deductibles. Some health plans also cover other benefits like doctor visits and prescription drugs even if you haven’t met your deductible. Your best course of action is to read your policy and contact the insurance company to find out more about the health plan’s benefits. If you have questions about your plan or your rights as a consumer, you can contact our consumer advocates online or at 1-800-562-6900.